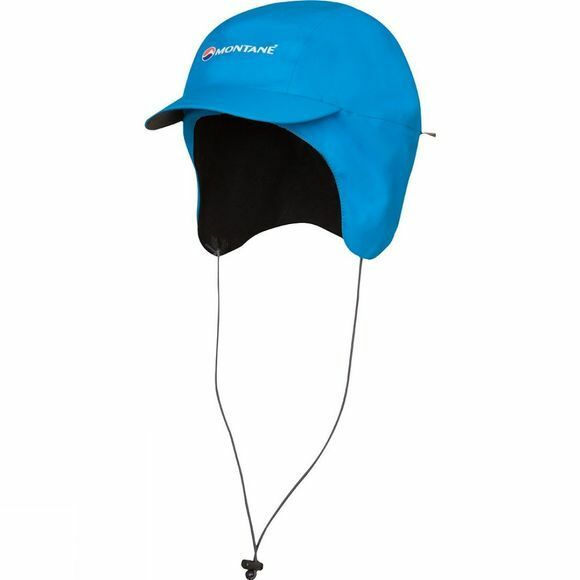 The Montane Mountain Squall Cap is a modern take on the classic mountain cap. Utilising Gore-Tex Acive fabric, it is extremely lightweight, exceptionally breathable and fully waterproof. Its progressive design has been styled to provide increased comfort and protection from the elements making it an essential piece of headwear for those wet mountain days. The fully taped Gore-Tex Active waterproof construction is exceptionally breathable. A brushed microfleece lining provides lightweight insulation, dries incredibly quickly and has a soft feel for instant comfort. Ergonomically shaping provides optimum coverage and protection from the elements, and a pre-curved, stiffened, lightweight peak enhances your field of vision while protecting your face. The rear adjustment gives a better fit while the removable, adjustable chin strap ensures security in extreme conditions.